Our custom system puts out 150 gallons per day through the reverse osmosis membrane as well as through the taste and odor removal membrane providing consistent clean, pure water for not only your health but also your aquariums inhabitants. 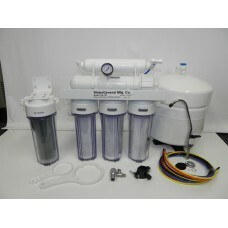 Now that you have this excellent system, there is no need to buy drinking water ever again!!! Overall rejection and removal rate is 98-99% for ultra pure DI outflow, and 95% on the RO side for drinking water. 4th Stage: High Rejection TFC/TFM-150GPD membrane, removes 95% to 98% of chemical, minerals, dissolved solids, like arsenic, lead, silica, nitrate, copper, ammonia, sodium, fluoride, etc. (replace every 18-36 month depending on the water at your city). 5th Stage : Carbon In-Line filter for the very best tasting water for drinking avalible on the market!! 6th Stage: Top Quality Refillable De-ionized filter, further removes the mineral and chemical contents of water and achieving 99% to 100% removal rate (replace as needed, or after 600 to 1000 gallons). It comes with refillable clear casing. The DI resin inside changes color from green to dark brown when the resin is exhausted. Water activated - not activated by air like most all on the market!! 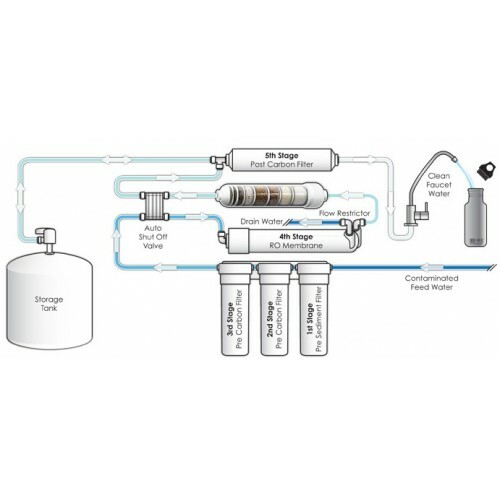 pH range: 3-10 *Hardness: lower than 500ppm (hard water will shorten the life of filters, but system will still perform) Using a water softening system prior to RO+DI filter will prolong the life of filters. The system come with 4 gallon pressure tank, long reach dispensing faucet, under-the-sink adapter, drain clamp, tubing, shut off valve. 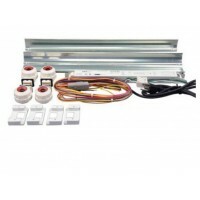 Optional easy-connect adapters are available for countertop installation or garden hose/ laundry room installation. 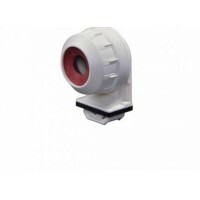 * Comes with an auatmatic shut off system for you storage tank. * Comes with along - life 2 gallon storage tank for instant pressure for drinking water side or 2 gallons on demand for DI also. with our system you can- do- it- right! * Comes with extra RO/DI tubing. * Comes standrd with super easy to use John Guess Fittings throughout. membrane. A real money saver!! * Comes with a delux drinking water kit so you can use you system at your sink.